One Savvy Mom ™ | NYC Area Mom Blog: Back to School Greatness from HP: TouchSmart 300, Amazing Laptops, Mini's with Personality.....and one HOT deal! Back to School Greatness from HP: TouchSmart 300, Amazing Laptops, Mini's with Personality.....and one HOT deal! WOW! It seems like just yesterday that the flower's were emerging, and Summer was beginning......though current reality is that a new school year is fast approaching. This means new clothes for the kiddo's, new shoes and of course, new technology products (my favorite part of it all)! And how about you......the organizer & chauffeur in all of the back to school craziness? Let's not forget after school activities ( and dare I say your own life :). Keep it all together and life running smoothly with a sleek, all-in-one touch enabled PC! The HP TouchSmart has applications to help manage calendars, create sticky notes for grocery lists and makes dinnertime a snap with HP’s exclusive RecipeBox application (see video below). Apps from Twitter, Netflix and Hulu make the TouchSmart 300 the perfect entertainment hub too! “Preppy Pink” Mini 210 – Cuz Girls Just Wanna Have Fun – Starts at $354.99 Fun and functional, the “Preppy Pink” Mini 210 provides more than nine hours of battery life (more than a full school day!) and weighs just 2.9 pounds. Easy to slip into a bag or purse, it features HP’s 3-D Imprint technology and a tiny cupcake imprint at the bottom of the unit to brighten up any girl’s day. Perfect for moms too! You now have a companion PC to stay connected all day, whether it’s waiting in the pick-up lane for kids or accompanying them to a dentist appointment. It’s available now at http://www.hpdirect.com/ . Looking for cool software for your new HP Mini? Check out the latest titles at the HP Download Store. 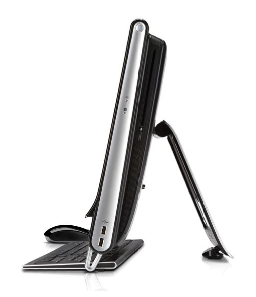 The HP Pavilion dm4 is the perfect balance of form and function. It has a sleek, metal design, is 1-inch thin and weighs only 4.4 pounds making it easy to tote around campus. Other features include a 14-inch diagonal BrightView HD LED display, Intel processor, internal optical drive and up to 6.5 hours of battery life. The SimplePass fingerprint reader stores network and web site passwords, for added security on campus. Available now at http://www.hpdirect.com/. Want to organize and stay on track this year as kid's head back to school?! 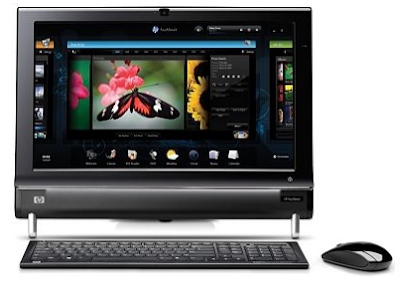 HP is offering a $50 discount on the HP TouchSmart 300! Head on over to the HP makes it easier Microsite http://bit.ly/HP_EasierDay then leave a comment here letting me know how the TouchSmart would make your life easier? (with your email address) and I'll email over the $50 Discount Code!